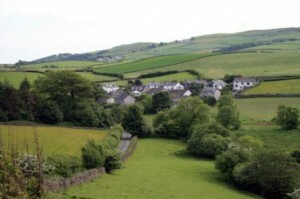 Broughton Beck, situated 2.5 miles north of Ulverston, used to serve the farms in the surrounding area of low undulating hills. It used to have a public house, a shop, a garage, a blacksmith and a mill. None survive today but where the mill was situated is now the village hall, appropriately named the Mill Room. 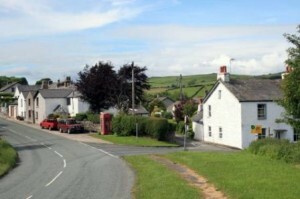 The village is unusual in being divided into two sections about 250 yards apart, separated by two fields. It has a church, St. John the Evangelist, which dates from 1874 but it is located over a quarter of a mile away on the other side of the Ulverston to Gawthwaite Road. A small primary school operated next to the church but it is now a private house.